Posted: Mar 13, 2019 by Knights Spraying Inc. Follow the link to a You Tube video that shows how to post a job on the PVMA job board. Lush greenery may be beautiful, but it can bite you, too. Unchecked clover in highway ditches may attract wildlife dangerously close to passing vehicles. Poorly controlled plant growth can damage utility installations, plus obscure road and rail routes creating collision hazards. Simply cutting back these plants often makes the issue worse, as many types of flora produce masses of new shoots in every cut location. This is why all Alberta property owners, including individuals, industry and municipalities, both rural and urban, need access to vegetation control expertise. That’s where the PVMA can help. 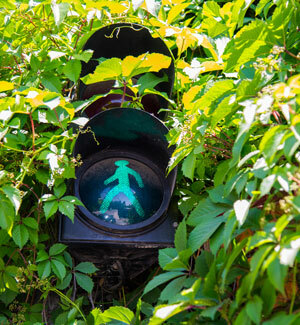 Reduce the risk of legal liability exposure from vegetation-related dangers. Apply For a PVMA Membership! Gives the general public a starting point for resolving plant-related concerns. Features a forum for sharing best practices in vegetation management. Offers educational opportunities for vegetation workers. Develops the curriculums used by colleges to certify competency in tree maintenance and vegetation management. Facilitates connections between vegetation control professionals with organizations that require certified expertise. I take part in all the votes to ensure my opinion is counted.